Carey Young, 2005. Ink on paper, signed with archival ink. 5.5 x 8.5 cm. Series of unique cards signed by the artist and to be signed by the viewer. 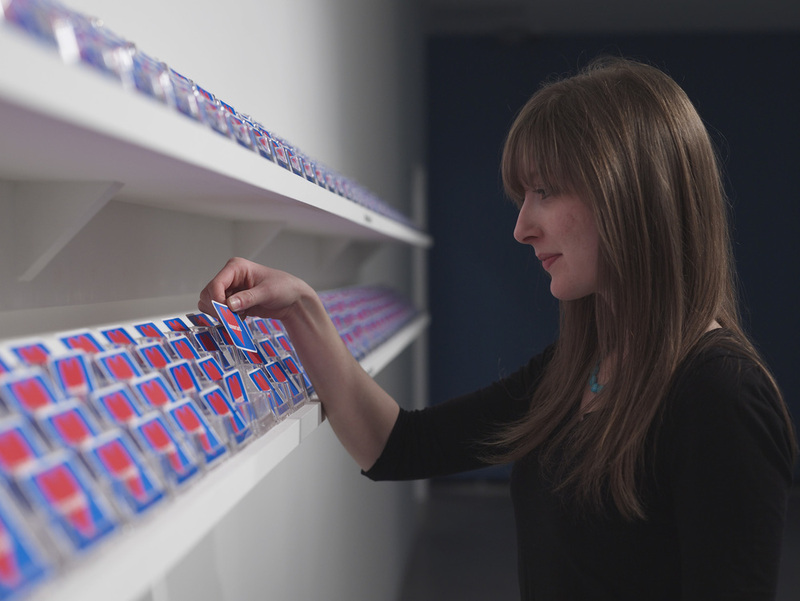 First exhibited at Paula Cooper Gallery as part of Performa05 Biennial. Remade for Midway Contemporary Art, Minneapolis (2007), Thomas Dane Gallery, London (2008), The Power Plant, Toronto (2009) and Frieze Projects, Frieze Art Fair, 2010. 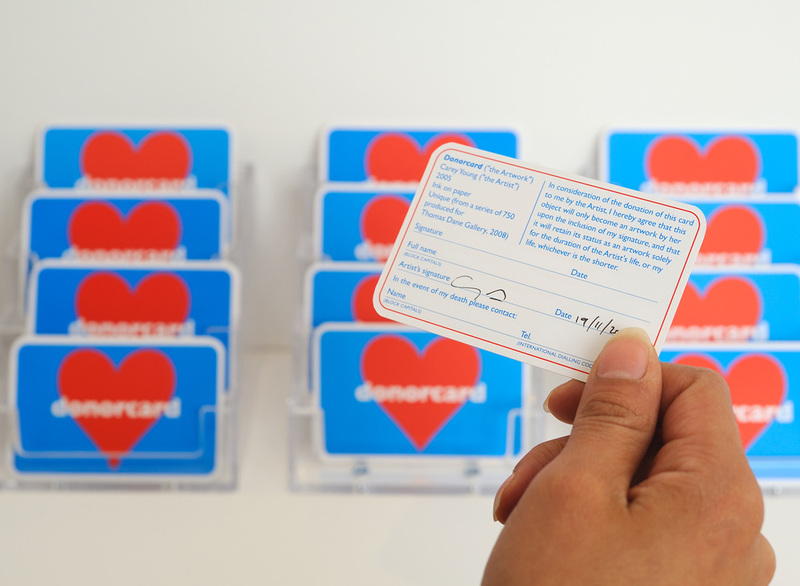 With Donorcard, visitors are offered an artwork for free. Although it has already been signed by the artist, it only acquires the status of a work of art once it has been signed by them. From then on, the owners and the artist enter into a contract which ends only with the death of the artist and / or the owner.